I appreciate your visit to my blog. Now, here is a little about me. I am an author, creative/business writer, blogger, Op-ed columnist, PR professional and proud Nigerian. I have worked in strategy, consulting, projects management and telecoms communication. And yes, I am also a doctor. I keep evolving. So if you check tomorrow, I might have moved on. One thing though that will never change is that I will keep telling our stories using various platforms. Checkout my website http://www.nzesylva.com for everything you need to know about my books The Funeral Did Not End (2012) and Whispering Aloud (2007). Welldone my sister, God will see you through. The quality of write ups here are simply outstanding. I live in London, and have the pleasure of reading your blog regularly. Keep up the good work. Very good stuff. Welldone my brother, i particularly enjoyed the piece on Nigerian Churches/poverty/quest for cash et all. Our people seem to be under a self-imposed spell. You find a huge followership in the ‘it is well’ Nigerian spiritual community. Quite shameful. These happenings have helped to fuel inept and docile followership which sustains greed and corruption amongst politicians and these mammon driven pastors. When the Latvian anti-corruption chief Aleksejs Loskutovs (with very interesting achievements similar to our own dear Ribadu) was removed from his position, Latvian Prime Minister Aigars Kalvitis was forced to resind decision as the country was virtually on fire. The country’s legislative arm stood their ground and he was returned. In Nigeria, Ribadu was not only removed, but attempts at trumping charges did occur. How do we react? ‘it is well’. Our legislative body went to sleep also because the people have long been snoring. Have you noticed that past and present government officials have since found solution to our problems? They all say we should simply pray for Nigeria. The list is endless, Gen Gowan, Gov Agagu even OBJ was full of prayers whilst in power! They never seem to complete the Biblical route to praying out evil (corruption & bad governance in this instance). The book of James mentions emphatically about praying and working. We have been asked to keep praying because Nigeria’s problem is spiritual! Huge scam, the Latvians needed not pray as they rather WORKED THE TALK (PRAYER) and thereby got answers. If heroes of yore didn’t STAND UP & FIGHT, the world would have been worse off. Going back in history, William Wilberforce, a very spiritual man knew when to pray and when it was to ‘do the talk’, he ‘fought’ the British paliament for the abolition of slavery in the 19th century (losing initially, but kept fighting) until his death. If he had simply been ‘closing his eyes’ in prayers, yours trully would still be in chains. Mandela & co had to ‘fight’, thats why the 1976 Soweto uprising was the major event that gave birth to todays majority led South Africa. Nigeria of today needs ‘a very good fight’. If we trully do believe in prayers, then we already know that God in his mercies already answered, however, God in his spirit of free will expects us to ‘do the battle’. His is to guide and protect. Nigeria has been stolen from us all, or rather as Chinua Achebe rightly puts it, the country has never been allowed to grow and has remained a baby. FARIDA FARES WITH NIGERIA’S ENEMIES. WE DO NEED A VERY VERY GOOD FIGHT! guy na wah to you oh, so i know you sef! …finally put a face to the name. oh shizle i thought it was a female! I think this site is one of the best things tht happened to me on dis hot friday afternoon. Today i got to know more about Dr Sylva. Keep the fire burning Bro. nze welldone,carry go my brother! i’m curious to know your thought on the building of American University in Nigeria. Do you suppose that an application of a Anglo/Dutch Liberal financial system to the problems of Nigeria will do us much good? Thanks for your time. I left a comment on your article (Life before Death) in Sahara Reporters with my pen name, Manpikin. I would like to have your personal email for further conatct. I am a Nigerian currently residing in Canada and i hope to come home in Nov/Dec this year. I am a filmmaker and would love to meet with you to discuss some things based on the said article. Hope to hear from you soon and please do keep on with the good work. 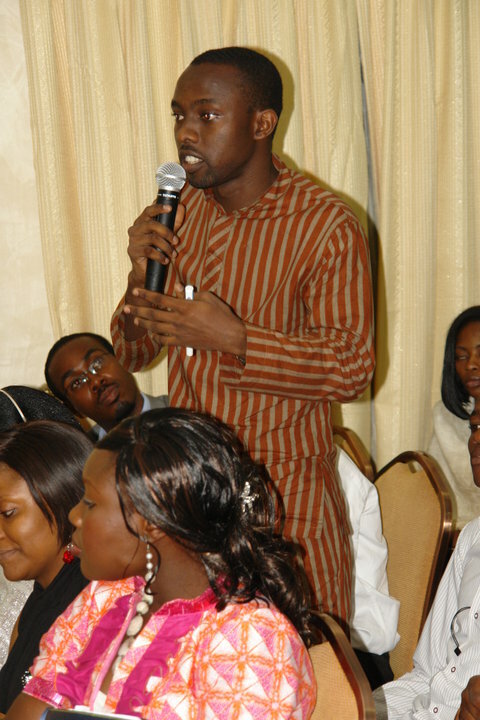 I have only read through the September and August 2009 archives, and i ask myself: is this the sylva i know, abi na im look-alike? I answer myself: he is one and the same, only better than what u used to know. I am highly encouraged by what i see u trying to achieve and i borrow a feather from ur cap. My bible tells me: seest thou a man diligent in his work he shall stand before kings and not before mean men (prov. 22:29). U are going to the top my bro, and i will meet u there. Meanwhile keep up the good work, there treacherous leaders of ours need to be exposed! More power to ya. U r a guru. Can u check thru my blog and tell me how to make mine like urs? love ur work n ur blog. pls can u go thru my blog and help me with some advises? How do I connect to Sahara Reporters? keep up this good work Bro! read ur article at 234 next, working on a project and would like to ask for your help regarding project management. can i get a reply via my email? I really like your blog. I appreciate what you’re doing here. The simplicity of your write-ups soothes my heart! Biodun Many thanks. Your words are a strong encouragement and i assure you i shall not look back. Regards. impressive write ups….u r one of the few nigerians that assure us dat tmrw will be better, keep it up. Njide, i am truely humbled by your words. Indeed this country will be better and our tommorrow brighter…it only takes a strong resolve by us to be the change. Thanks and have a swell day. Your story really touched my heart. I am an expatriat in Ibadan i am looking for a good qualified vet surgeon in Lagos i have a Llhasa Apso which needs to be sterilised and cannot find a suitable vet to do the job with the dogs health and recovery been of the highest concern i would appreciate it if you could give me a contact name and number of a Dr recommended by you. If you could please mail me. Regards and good luck for the future. I recently read your short story, Death on Gimbaya Street, in the magazine Saraba. I enjoyed it very much, and I have reviewed it on my website: http://www.damiankelleher.com/drupal/review/nze-ifedigbo-sylva-death-gimbaya-street. I hope I have used your name correctly, and in the correct order. I am not familiar with Nigerian names, but something tells me they are structured differently to Australian ones. Please let me know if I have put your name down wrong, and I shall update my website accordingly. I am shocked and pleased to read your review of my work. It brought tears to my eyes really. Not knowing how else to describe it i would settle for the simple : Thank You. Let me make some quick observations which you would need to effect on your review. The Title of the story really is “Death on Gimbiya Street” not “Gimbaya” I had written the Saraba Magazine publishers about the error and they had inserted an apology in the next issue of their Magazine. In the same light, you asked about the proper arrangement of my name. That on the story was also wrong. “Ifedigbo” is my surname so i write my name in this order: Sylva Nze Ifedigbo. Don’t mind we Africans and our longish names. Would be glad if you could fix these two. I have sent a mail to your box and i look to hearing from you. I am a published poet and would like to join Blues and Hills consultancy. What do I do? Love your blog and your frank commentaries. Keep up the very good work. Hi Chikwenze, I stumbled on your blog this afternoon and I think it is great! I also took a quick glance at some of your articles: I couldn’t believe my eyes! Memories of 11th November 1984 rushed quickly through my mind’s eyes; they also brought tears, tears of joy to my eyes! I am very proud of you! I ve been reading your work but have never come across “About me”. Its nice but you forget to inform that from childhood – a toddler- you were trained not to tamper or destroy any written materials, that the information therein means millions. Thank God it pays as it made you to read any printed material and you passed the practice to your siblings. The comments on you are ok, but many can benefit if you will be read in Nigeria”s print media. Not everyone has the luxury of internet services but can read you even in discarded papers used as groundnut wrappers. This is my first time of checking you blog. I enjoyed most of what i read. I am an author and a consultant. I think you are doing a good Job. Don’t be discouraged. Keep it up. Am impressed with your creative writing. Keep it up. hey bro?thats so wonderful n creative of u! u r a masterpiece! and do u,by any means,have channels through which a talented and experienced stage actor,in kenya,could get exposure?please get back to me and i will be so very much grateful,all the BEST in your endeavours! Sadly, i am not based in Kenya and do not have the information you seek. Perhaps, if your seek out local arts circles in Nairobi or checkout magazines like Kwani?, you might be in luck. Cheers.